For those looking to buy property in Dubai, navigating the process from search to title deed transfer may seem like a daunting task. But checklists at each step can ensure a smooth entry into the property market as a buyer. 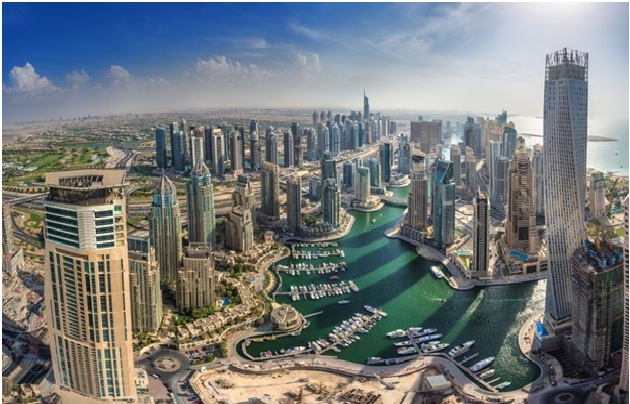 Below is a step-by-step guide to buying property in Dubai. One of the first steps is to decide is whether you want to purchase off-plan, i.e., under-construction property from a developer, or opt for the secondary market or resale from an owner and/or an agent. The purpose behind the purchase (for investment versus end use), availability of capital (whether it is sufficient to meet the down payment and payment plan for off-plan property or equity requirements of a resale) will impact what type of property should be considered. For investors, given that the market outlook does not indicate steep capital appreciation in the near term, market research is essential to find a property with the right combination of high rental yield and low vacancy risk. Generally, studios and one-bedroom apartments have higher yields than three-bedroom apartments and large villas. If the purpose is self-use, establish a budget and identify key locations based on important requirements, such as actual unit size, distance to workplace, schools, retail and public transport. The equity contribution of a purchase is not just limited to the property value less the home loan amount. It also includes other elements such as the registration charges, loan arrangement fees and brokerage fee, which can account for another 7-7.5 per cent of the property purchase price. Therefore, the budget should be set right from the start to have a focused research. When purchasing from a private seller on the secondary market, it is prudent to hire a registered broker to tackle the paperwork, negotiation and arrange viewings to compare multiple units. The broker’s licence can be checked from the Dubai Land Department (DLD) website or the Dubai Brokers app. The broker will also assist in verifying the ownership of the property. For off-plan property, look at the developer’s reputation, particularly with respect to quality, timely delivery of units and past projects. It is essential for buyers to visit show homes to get an idea of what they can expect. At the end of this step, the buyer should have zeroed in on the property based on budget, unit type, facilities and other metrics. The next step varies for mortgage and cash buyers and involves pre-approvals for the former. Many mortgage institutions offer the option of “pre-approved financing”, which permits the buyers to have their loan approved prior to choosing a property. This expedites the process and satisfies sellers who require financing before signing the memorandum of understanding (MOU) or purchase agreement. The maximum length of a mortgage in Dubai is 25 years, although many opt for 15 years. A simple budgeting reference can ensure that monthly mortgage repayment does not exceed 35 per cent of monthly net income. A buyer should also cancel unused credit cards as the credit limit of all extant credit cards is taken into consideration by the banks to calculate the monthly income available for servicing the mortgage repayment. For cash buyers, they must ensure sufficient funds are available in their bank accounts or through restructuring of other investments. Banks typically extend a lower loan-to-value (LTV) ratio to buyers with an existing property in Dubai. For off-plan purchases, the buyer needs to submit an application form to the developer, which outlines the terms and conditions of the agreement. If the property is yet to be completed, ensure the purchase agreement includes the completion date and the compensation awarded. If the property is not completed by then, 5-15 per cent of the security deposit or whatever figure is stipulated will be repaid. For secondary sale, the sale contract between the seller and buyer or the MOU is registered with the DLD, outlining the terms and conditions of the agreement. The buyer can request for an “opt-out” clause in the MOU, indemnifying the buyer against the loss of the deposit if the property’s bank valuation is lower than expected. Read the MOU carefully as it may include additional charges, which may be stated within the document. There is usually a 10 per cent security deposit, often a cheque payment, in a secondary sale. For a mortgage purchase, the bank carries out a valuation to ascertain the asset value independent of the purchase price. The loan is disbursed by the bank as per the agreed LTV ratio — the exact amount is either the purchase price or the independent bank value, whichever is lower. The bank carries the mortgage cheque in favour of the seller on the day of the title deed transfer. For off-plan property direct from the developer, Oqood is issued at the developer’s office. The list of documents required may vary from one developer to another, but typically this includes the sale and purchase agreement, buyer’s passport and Emirates ID. For resale of off-plan property, on final approval the seller applies for a NOC from the developer. The fee ranges from Dh500-Dh5,000 payable to the developer, usually by the seller. The DLD only conducts transfers if both buyer and seller are GCC nationals. All other transfers are done by a Real Estate Registration Trustee. For secondary sale, the DLD transfer charges are 4 per cent of the purchase price plus Dh580. The buyer and seller may each pay half of the 4 per cent transfer fee if stipulated in the MOU. A fee of Dh2,000 for transactions below Dh500,000 and Dh4,000 for transactions above Dh500,000 is payable to the Real Estate Registration Trustee. Mortgage registration charges payable to the DLD amount to 0.25 per cent of the loan value, plus Dh290 as a standard charge. The transfer of title deed takes place at the office of a Real Estate Registration Trustee or at developer’s office if the property is yet to be completed, where the buyer obtains the title deed under his/her name, along with the keys and access cards to the new property. The broker’s commission agreed in the MOU is then paid. The final step includes activation of Dewa services, for which Ejari must first be obtained.